You're not required to make any changes or repairs to the house. No Loans. No Bank Approval. Cash is guaranteed. Close in 7 days or whatever date you need to have the house sold. 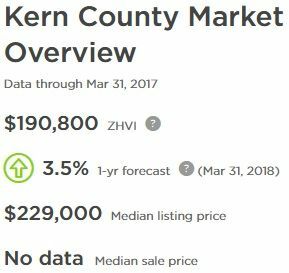 A combination of low property values and harsh market conditions make selling a home quickly in Kern County exceedingly difficult for the average homeowner. The market is working against them, and some of them feel desperate to locate a buyer and move away. Understanding the conditions surrounding the market and what options you have available to you can help you sell your home within a reasonable time-frame. The average property value in Kern County sits around $190,000. When broken down by areas, that average is deceptive. The homes in Rosedale can be valued at four times as much as the homes in areas like Lamont, which skews this average. While homes in Rosedale tend to see higher values, the majority of properties in Kern County are on the much lower end. In fact, Kern County sees some of the lowest home values in Southern California. Kern County isn’t a huge draw from surrounding areas. 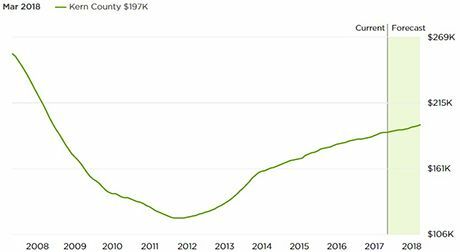 Many people moving to or around Southern California are more compelled to move to busier counties. Home values were at their highest in 2006 and fell drastically in 2011. Values have climbed very slowly, and are expected to see a 3.5% rise in property values within the next year. Even though property values have risen 4.3% in the past year, any defect to a home will cause values to plummet even further. A house that would be valued at $110,000 in perfect condition would be worth substantially less when it’s in need of repair. Bad neighborhoods will have the same negative impact on the value of a home. Even if the house is repaired to its fullest potential and a neighborhood is considered acceptable, there’s only so much a property owner can do that will warrant a higher asking price on a low value home. Kern County’s market is largely unhealthy, scoring close to the minimum and far lower than its surrounding counties. Zillow estimates that 4.1 homes out of 10,000 faces foreclosure every year, and the average for homeowners with negative equity is twice the national average. Overall, things in Kern aren’t going so well. Even with the expected rise in values only time will tell whether or not the market stagnates. Homes in places like Homaker Park, Casa Loma, Downtown, Lakeview, East Bakersfield, Rexland Acres, and Southgate have the lowest median values – often less than $100,000. With high unemployment and crime rates, nobody’s looking to move in. Buyers choose to stay away from these areas in favor of better neighborhoods closer to stronger job markets. These homes are among the toughest to sell, and things aren’t changing. The outlook in Kern County is bleak. A lot of homeowners are down on their luck trying to find a buyer. The average listing time is roughly 104 days for homes that do sell on the traditional market. Out of those homes, about 14.5% sell at a price cut, and nearly 14% sell for less than their previous sale price. Though this is unfortunate, it’s not unexpected. In a rough market, that’s all part of the real estate game. What if You're Not Able to Sell your Home in Kern County? Homeowners that can’t sell their Kern County properties seem to be the majority in the current market. The buyers aren’t there, and the majority of properties are considered to be undesirable. Since most of the county is plagued by unemployment and low income, a lot of properties are in need of serious repairs that owners can’t afford to make. Buyers have a tendency to travel elsewhere, leaving sellers with no way out of their predicament. 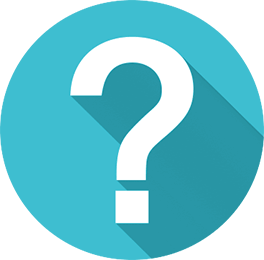 What is Your Next Best Option to Get Your Kern Property Sold? If you find yourself in this situation, it’s time to try a different approach. The traditional market is frustrating for those looking to sell their houses quickly in Kern County. It may be wise to utilize an alternative. This is especially true for homeowners located in bad neighborhoods, or homeowners who cannot afford to make costly, lengthy repairs on a property that’s succumbed to significant damage. You may have better luck seeking out a buyer who is willing to take homes as they are. Selling your home less the cost of repairs and renovations means you won’t have to spend money you don’t have to fix insurmountable issues, which may not even help you sell your home quickly in such a harsh market. A lot of Kern County homeowners feel a sense of desperation that isn’t improving with the passage of time. Waiting for the right buyer can take months, or even years. Home investors are willing to purchase your property, putting their own money into the property and waiting it out for a buyer. You can cut your ties sooner and move on. Why Should You Use An Investor to Sell Your House to? Investors are willing to buy homes in cash, and they don’t wait around to make an offer. Selling to an investor is very quick, and the faster you sell, the better. Damages only worsen with time, and rough neighborhoods only become rougher. Times are hard in Kern County, and Southern California Home Buyers knows exactly how hard they are. We’re a team of experienced home investors with years of experience. We’ve been purchasing properties in Kern County for 10 years now, and we’ll happily purchase yours. Contact us about the property you’re looking to sell quick, and one of our team members Lisa or Allison will call you back & gather some additional information to make a fair cash offer on your home. The sooner you contact us, the sooner we can help you complete the successful sale of your unwanted home. Getting started is fast, simple & painless. Simply enter in the property information into the form you see here & we'll call you back that day, or the following Monday if you entered your information during the weekend. Our awesome team member, Allison will follow-up to gather some additional information regarding the property so we can put together a cash offer on your property.